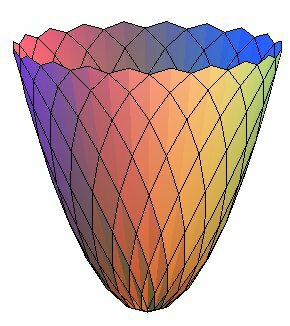 The paraboloid of revolution is the surface obtained by the revolution of a parabola around its axis. All the points are elliptic and there is an umbilic: the vertex O. Volume of the paraboloidic bowl with height h, the radius of the circle at the summit being R ( ): (half of the circumscribed cylinder). Area of this bowl: . Other parametrization: (the coordinate lines are ellipses). 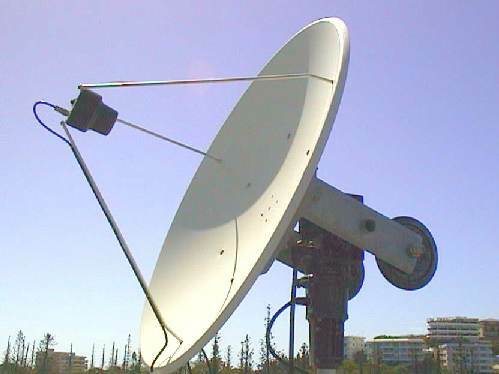 A paraboloid of revolution can be physically obtained by rotating a liquid at constant speed around an axis. 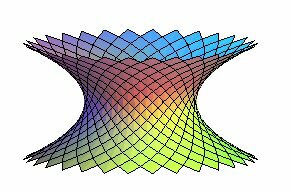 See, more generally, elliptic paraboloids. The parabola can also be rotated around a line perpendicular to its axis. 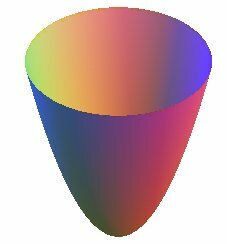 We obtain a surface that looks like a hyperboloid of revolution, but which is of degree 4. Cylindrical equation: , cartesian equation: . 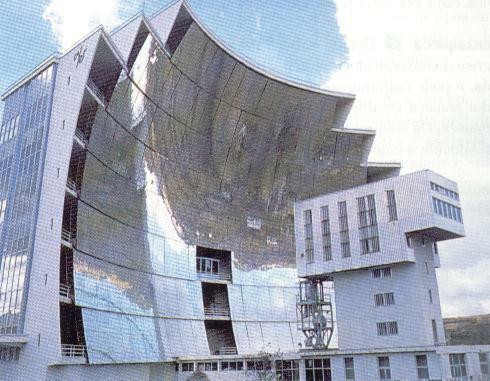 Solar oven of Odeillo in the Pyrenees. See the principle at parabola.